As a family we really enjoyed downtown Boston. While we adore San Francisco, and New York, we love Boston because of how clean and open the city feels. The North End of Boston with the ocean breezes is absolutely lovely. While San Francisco can feel overwhelming and crowded, and New York can feel stifling and slightly smelly, we didn’t find that in Boston. Granted, we weren’t in Boston during the winter, I don’t think we would’ve survived if we tried winter on the East Coast. Walk around the North End and enjoy the breezes. You’ll also find Paul Revere’s house. In fact, find and follow the Freedom Trail. Look for the red bricks, or grab a visitor’s guide at the visitor center at the Boston Common. Everyone was telling me to do the trail, but I had no idea where to start. Going to the visitor center is super helpful. While you’re in Boston Common, look for the “Make Way for Ducklings” sculpture, which is one of Boston’s most famous attractions. The statues are of Mrs. Mallard and her eight ducklings. The sculpture is based on the 1942 Caldecott Medal winning picture book by Robert McCloskey. 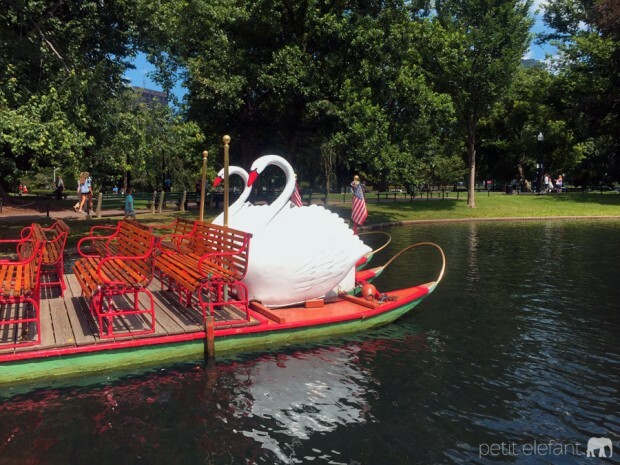 The Swan Boats near the duckling sculpture have been in operation since 1877. The thing about Boston and the East Coast in general, is the rich American history you find all around you, from the cobblestones at your feet, to buildings that have been standing for decades. The Swan Boat ride takes about 15 minutes, and it’s a nice little break from walking all over the city. Ticket prices are $3.50 for adults and $2.00 for kids age 2-15. Keep your eyes open, there are a couple swans that live in the pond’s island. 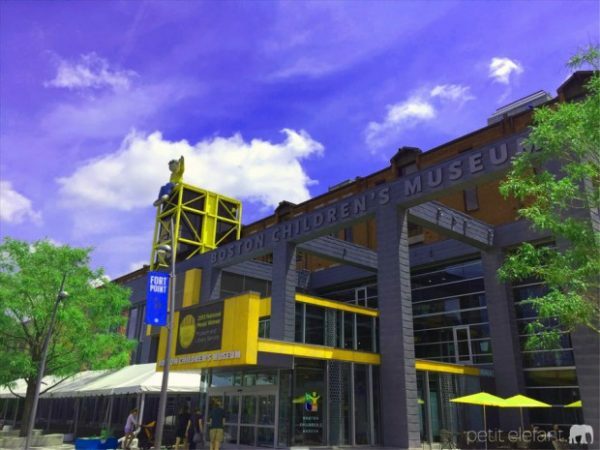 As for the Boston Children’s Museum, I felt like my 8 and 10 year old daughters were reaching the older end of the spectrum. They did enjoy several exhibits, especially the Japanese house replica, but they might not be as keen once they’re a few years older. On the other hand the Museum of Science in Boston is very similar to the San Francisco Exploratorium, for those familiar with it. We happened to be in Boston during the Science Museum’s Pixar exhibit. If you are in town, it’s a must see. This place is perfect for children and adults of all ages. It is fascinating to see how they explain the science and technology behind the making of Pixar’s brilliant movies. 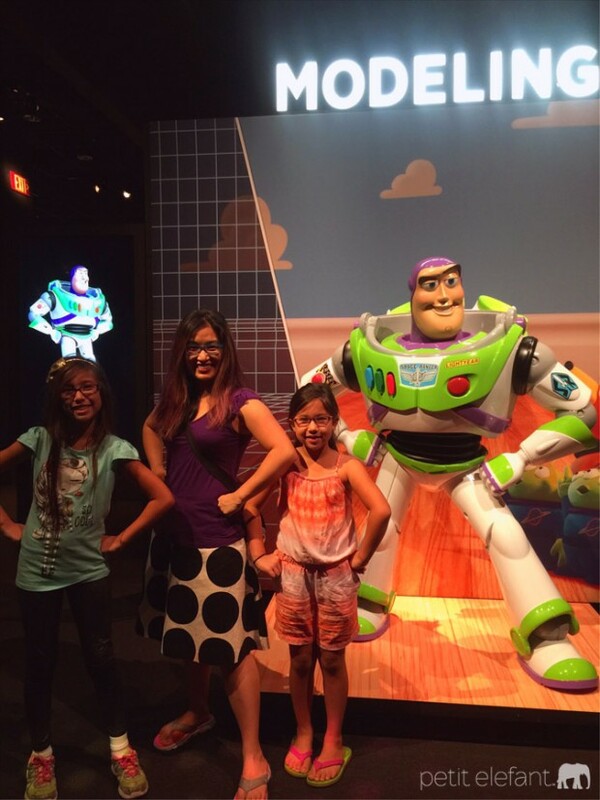 My daughters and I loved getting a peek behind the magic that we see in movie theaters. My daughters and I also took a free Harvard Tour. For information on tour times, and dates, check the website. The historical tour takes you around campus for about an hour and explains the history, and some of the quirky parts of campus. The tours are run by students, and at the end of the tour they offer you a discount coupon to purchase gear from their store. My girls and I enjoyed learning the stories behind our nation’s oldest university. We highly recommend you enjoy a brunch at North Street Grille it’s tiny, so make sure you get a reservation. The food is great, and it is truly a big city experience to sit in tight quarters with your fellow diners. Giacomo’s is also located in the North End, and consistently has a line out the door. You’ll have to wait at least 30 min, as they don’t take reservations, but it is worth it. The restaurant is small, but service is swift, and good. 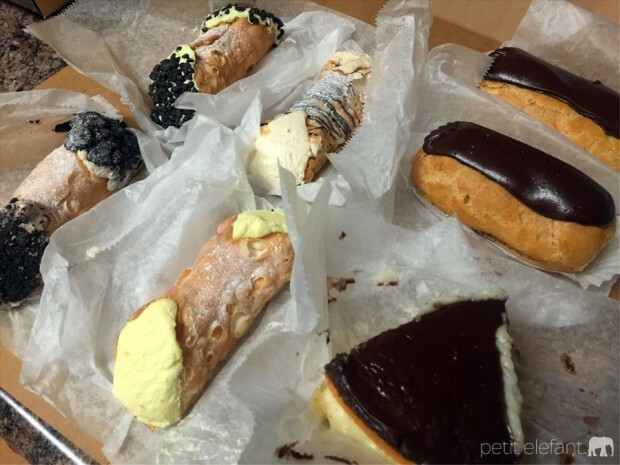 Mike’s Pastry is an established must visit in the North End. In fact, skip dessert wherever you’re at, and make Mike’s Pastry your dessert hub. The star of the show are their cannolis. They are giant. Do not make the mistake we did and buy too many. Cannolis are only good the day of. The eclairs are fantastic, and we think their Boston Cream Pie is better than the original Omni Hotel creation. Enjoy! Bon Me started out as a food truck specializing in Vietnamese cuisine, and did so well, they have their own brick and mortar stores, and they still rock the food truck business. My girls love their their sandwiches, and I love their rice noodle salads. We visited their restaurant which is across from the Children’s Museum, and we found their truck on Harvard’s campus. If you want something fresh, and flavorful, Bon Me will take care of you. Myers + Chang is an indie dining option in Boston. Chef and owner Joanne Chang has a menu featuring a unique interpretation of Chinese, Taiwanese, Thai and Vietnamese specialties. 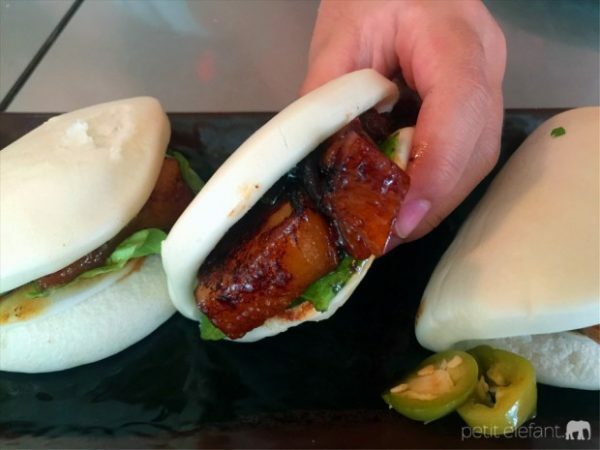 My daughters and I loved their homemade sodas, and their braised pork belly baos. Chang also owns the well-known Boston bakery, Flour. So your meal may end with some perfectly baked treats. Toscano Restaurant was our very last meal in Boston. It’s on a street with beautifully designed store fronts on Beacon Hill. I really love how historical the buildings are out on the East Coast. It’s like stepping back into history for a moment. The food here was delicious. I highly recommend the pasta e fagioli and pappardelle bolognese bianco. A little note, while traveling in Boston, I don’t know if it’s the mix of tunnels and surface streets, but it really confuses the crazy out of iPhone navigation. It helps if you have someone driving and a navigator, but since it was mostly me driving while my husband was working, I would write down the driving directions and also play it by ear when the navigation failed me. 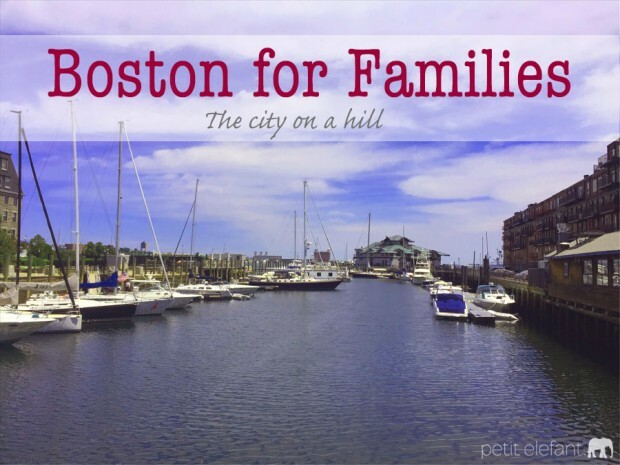 Hope this Boston for Families guide helps you as you plan your future trip to New England. Happy traveling, and good luck!